The Premier League is understood to remain confident that Sunderland's fine for fielding an ineligible player was the appropriate punishment amid reports of a legal challenge. Striker Ji Dong-won, 22, played in four games without international clearance. "The three clubs taking on the league are demanding a review of the Ji case. If that request is turned down, there is the strong chance that whichever club finishes 18th will sue." However it was judged a technical breach not worthy of a points deduction. The Observer says that Cardiff, Norwich and Fulham have now joined forces to instruct lawyers over the matter. Cardiff and Fulham were relegated at the weekend, while Norwich are third from bottom, two points behind 17th-placed Sunderland. 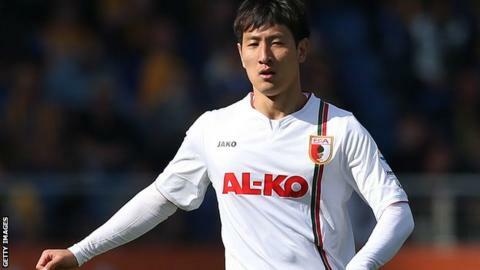 Despite always being correctly registered with the Premier League and the Football Association, Ji's details were not received by Fifa when he returned from a loan spell with German club Augsburg. Sunderland took one point from the four league matches in which the striker, who joined the club from South Korean side Chunnam Dragons in June 2011, featured while ineligible. The Premier League found an online form had not been properly submitted to Fifa for international clearance. Sunderland officials maintained they did everything correctly and that it was a technical error. Last season, Marine committed what has been described as a similar offence in the Northern Premier League and were fined and deducted three points.